Let's hear it for the Oneders! The Hallowed Halls of Music are littered with flash in the pans, burn-outs and one-hit wonders. While we all love artist who are able to consistently make great music year after year, decade after decade and who can wall-paper their house with gold records, there is something sort-of special about those who only manage to capture the attention of the masses just once. Many get sucked into the fame machine only to be spit out just as fast, while others stay in the business creating good music that satisfies a small, but loyal fanbase but never manages to reach into the upper echelon of the Billboard Top 100. Either way we all have our favorite one-hit wonders and now here at Blinded By Sound we're gonna pick our favorites. Perhaps, had The Rolling Stones not brought the hammer down on The Verve, they could have found greater success. We will never know, and it isn’t really relevant vis a vis the excellence of “Bittersweet Symphony.” For starters, the song sounds great. Even without words I could enjoy the sweeping strings and orchestral excellence. It has power and momentum but is also mellifluous. The lyrics are plenty good as well, even if they are, as the kids say, a bit of a downer. “It’s a bittersweet symphony this life” and “You’re a slaveto the money ‘til you die” does not really lead to this song kicking off a lot of parties. 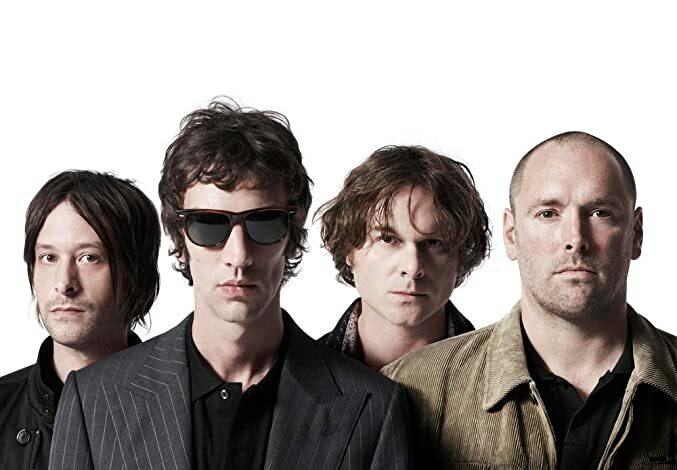 However, the intensity of the lyrics, and the vocals, match the intensity of the song, and it pushes forward until it ends, and when the dust settles we are left with one great song, the only offering from The Verve most of us can remember. Note: It is important to differentiate The Verve from The Verve Pipe, a one hit wonder in their own right. They were known for “The Freshman” which, along with “Brick” by Ben olds Five rung in the brief popularity of songs about abortion that most people probably didn’t realize were about abortion. Those were heady times. Thumping drums, smooth vocals and a killer video make "Take On Me" one of the most memorable songs of the 80s. A-Ha charted all the way up to #1 with "Take On Me" and even though they had another song that cracked the top 20, this is the only song that is remembered by them. To this day you can still find the video played in rotation on VH1 or MTV (when they are actually showing videos). The song was written by the Norwegian band in 1984 and included on their debut album, Hunting High and Low. It was initially released in the UK and hit #1 on the Billboard top 100 on October 19, 1985. A-Ha recorded four more albums that were commercial successes in the UK, but not in the US before disbanding in 1994. The band would reunite in 1998 and record three more studio albums before finally disbanding for good in 2010. With eight studio albums and one live album under their belt, A-Ha is still remembered soley for "Take On Me" and the technical masterpiece of a video that accompanied it. Though it isn't factually based at all, to me the decade of the one-hit wonders is the 1980s. In my nostalgic mind's eye the decade that I grew up in is loaded with synth-fuelled solitary hits by bands with names I can never remember and were never heard of again. At the top of that heap is Dexy's Midnight Runners and their still-to-this-day played in heavy rotation monster hit "Come on Eileen"
With its Celtic fiddle, pounding percussion, intense pop inflections and its mix of Irish and English lyrics its a perfect blend of sounds both old and new creating an ear worm of a song that will stick with you for hours (if not days)after you hear it. The song is still a staple of radio playlists and you can't hardly find an 80s compilation CD wihtout it in the mix. Wile Dexy's Midnight Runners had a few other hits across the pond "Come on Eileen" is the only song that made any sort of a dent in the American charts. Considering it is still much beloved after nearly 30 years of nearly constant rotation, that's not a bad thing to be remembered for. R&B and jazz singer Bobby Caldwell may have had only one hit, but what a song: “What You Won't Do For Love,” the 1979 smash that ranked high on the R&B and Billboard Hot 100 charts. This memorable slice of blue-eyed soul has been covered from everyone from Roy Ayres to Phyllis Hyman; even British act Go West experienced success with their 1993 version. However, the horn-filled original, combined with Caldwell's smooth vocals, still sets the standard. After signing with the normally disco-heavy TK label, Caldwell released his debut, What You Won't Do for Love, in 1978. After its initial release, Caldwell embarked on a 14-month promotional tour which helped drive sales of the album's title track. His soulful delivery led many radio listeners to initial assume he was African-American, as his voice sounds rich in the R&B crooner tradition. The gorgeous arrangement only enhances his singing style, with the popping bass, soaring horns, and muted keyboards effortlessly gliding over the complicated chord changes. All of these elements add up to a classic performance that lingers long after the song ends. Caldwell never equaled his initial success in the U.S., although he became a major star in Japan. In addition, he continues recording in the smooth jazz genre; his duet with Vanessa Williams on “Baby It's Cold Outside” has become a modern Christmas standard. But Caldwell will always be primarily known for “What You Won't Do for Love,” and considering the song's continuing longevity, that's definitely not a bad thing. While it pains and surprises me to even say “It Takes Two” was a one-hit wonder, VH1's “Greatest One-Hit Wonders” list says it's so, so I must agree with a heavy heart. Rob Base & DJ E-Z Rock are actually better lyricists and rappers than this song showcases. The song has definite staying power still being played in various sports arenas and stadiums around the nation. Can you even hear this song without hopping out of your seat into a spontaneous cabbage patch? I sure as hell cannot. This song was a staple at the small “dance room” in our local skating rink in Central Florida where I grew up and I cannot hear it without it conjuring up immediate images of acid washed jean jackets, flammable hair, pegged jeans, and too much dry ice and black lights in a very small area packed with too many hormonal teens and pre-teens. The fact that their song “Joy And Pain” was nearly just as big of a hit makes me question its “One Hit Wonder” status....but, couldn't resist adding it to the list if only to watch the sweet video one more time. 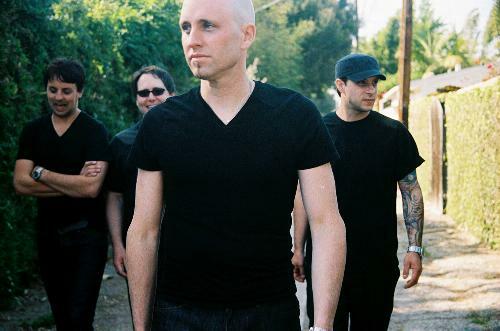 Josh Hathaway - Vertical Horizon - "Everything You Want"
The title track was the big hit and best song on that record but there were other really good songs ("You Say," "Shackled") and their back catalog had songs every bit their equal. Fate should have been kinder to them. Radio was overloaded with godawful nu-metal rubbish and "Everything You Want" felt like such a breath of fresh air to me at the time, considering what else was getting played on the radio stations I was listening to at the time. There's a cool vibe to the guitar sound and it's got a good chorus with a strong hook. My wife and I were still dating and discovered them together and for the remainder of my college years and the early days of our marriage, they were our band. They'll always have a place in my heart for that alone but I can still listen to this one without feeling remotely ashamed. Verical Horizon were a modern rock band with some jam influences and a little pop flair. They probably weren't built for greatness or sustained commercial popularity but they should have been allowed to enjoy their full 15 minutes and it's a shame they weren't.